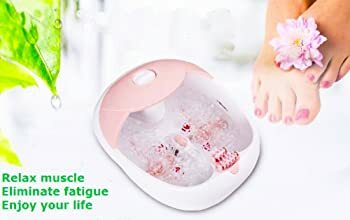 Kendal Foot Spa Bath Massager FB10: Is It the Best or a Waste? Everyone deserves to be pampered, especially on days when you feel exhausted. Those days when you work long hours and all you want to do is just lie down and relax your feet. We all know that feeling, and we understand you. You might have thought of investing in a home foot spa but got overwhelmed with various kinds of foot spa machine on the market. No one wants to invest in a foot spa machine that will become your source of anger and frustration in the end. 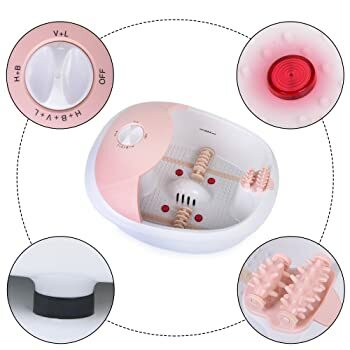 We’ve taken a comprehensive Kendal foot spa bath massager reviews to help you decide on whether you should consider this product. Read more: Best Foot Spa Reviews By Experts, Plus Its Amazing Benefits! 2 Who will benefit from this all-in-one foot massager? Kendal came up with this foot spa bath massager to give those over-fatigued feet the care they needed. Kendal foot spa bath massager is one of the top home foot spas recommended in the market today. This best foot bath massager is made from premium-grade plastic and offers an all-in-one heat therapy. This machine gives you a relaxing and soothing foot soaks. With its elegant look, this product can be given as a gift. This machine provides heat therapy, high-frequency vibration massage, infrared therapy, and oxygen bubbles massage. The machine relieves fatigue, promotes blood circulation, and enhance metabolism. This product is highly resistant to high temperature and its insulation system maintains the water temperature. The basin is large enough to accommodate different sizes of feet, and it is deep enough to submerge your feet comfortably. The machine comes with wheels, so you can bring it from one place to another. Also, they are lockable. The machine can heat up the water up to 122°F (50°C) and can burn the skin. Its vibration feature can be a little noisy and can ruin your relaxation. The rollers for massage may be hard and rough for some users, and they may find it uncomfortable. Who will benefit from this all-in-one foot massager? Kendal foot spa bath massager is designed for its therapeutic versatility. It is constructed especially for those who just want to have the best foot spa experience, as well as a foot massage in the comfort of their own home. The use of this foot massager is beneficial to your overall well-being. This machine is on the top among the lists of other home foot spa because it is an all-in-one machine. It features a heat therapy, high-frequency vibration massage, infrared therapy, and oxygen bubbles massage. It uses PTC heating semiconductor that speeds up its heating feature, maintains its constant temperature, and provides insulation protection. The heat therapy feature aids in soothing the nerve endings, and it also improves blood circulation, boosts metabolism, and smoothens the meridians. The infrared therapy aids in reducing symptoms of arthritis, joint pain, joint stiffness, and leg pain. The machine comes with removable sole massage rollers to relieve fatigue. The vibration massage works by easing out the pain on foot muscles, calves, and ankles. The machine has three pre-set modes: vibration + infrared, heat + bubbles, and heat + bubbles + vibration + infrared. You can choose the mode you think is right for you. After all the comprehensive Kendal foot spa reviews, we highly recommend this product. With all its good features, this product is ideal to have. Not to mention that it also has a good price. Also, if you will compare it with other foot baths, this foot spa bath stands out because of its versatility. Investing in this product will give you the total spa experience without the need of spending your hard-earned money on an expensive spa. You can enjoy the therapeutic benefits of this product right in the comfort of your own home. If this product excites you, go ahead and give it a try and let us know what you think! Reviews of the Best Foot Massager, Plus Astounding Benefits!